Home » Photography » How often to clean your printer rollers? How often to clean your printer rollers? Inkjet paper leaves behind coating dust, fibers, and other debris in your printer. Some of this “stuff” ends up on the powered feed roller that pulls paper in at the beginning of a print job. There are a couple of ways to keep this roller clean. 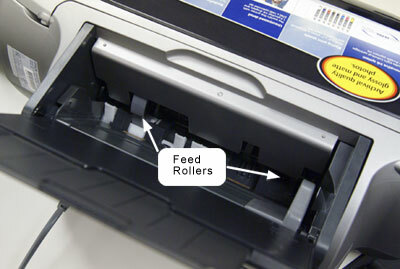 A clean roller means your printer is much more likely to pull in paper consistently. How often should you clean your feed roller? If you are a matte or fine art paper user we recommend cleaning after every box of paper. Photo glossy and satin users can do the process after every few hundred sheets. The process is simple and requires a few household items. You can read the do-it-yourself roller cleaning article here.